Welcome to 2013, everyone. Here’s something to start your year off from a black and white photographic viewpoint. 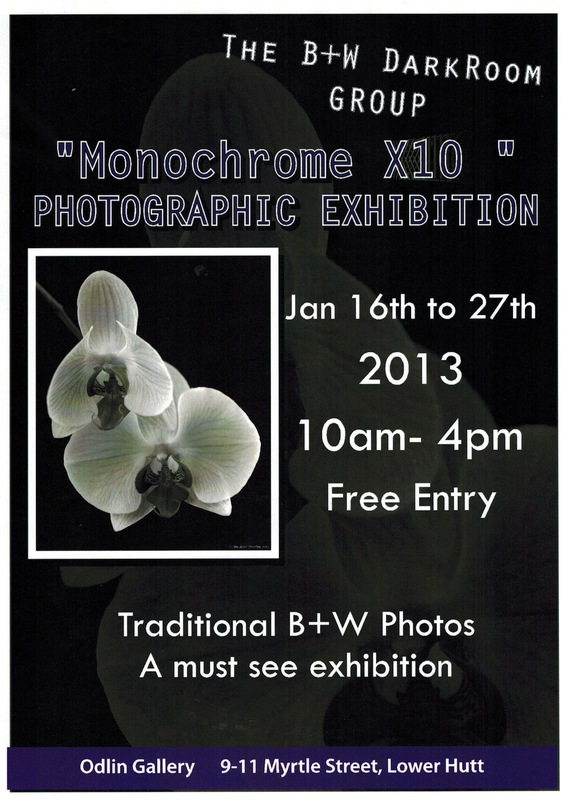 The B+W Darkroom Group, run by Michael Martin and with members from KCPS and farther afield, is holding an Exhibition “Monochrome X10” at the Odlin Gallery (9-11 Myrtle Street, Lower Hutt) from 16 to 27 January. Check it out.